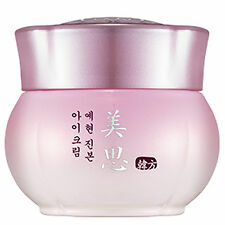 Yei Hyun Essence 40ml. After applying Yei Hyun Skin Toner, put an appropriate amount onto palm. Oriental essence to firm and smooth skin by filling the skin texture with Pinus Thunbergii energy. Very good quality, very good packaging - whole box intact. I love this product! My skin became soft and moisturizing! I haven’t seen my skin so good! Thank you very much! I will buy more in future.